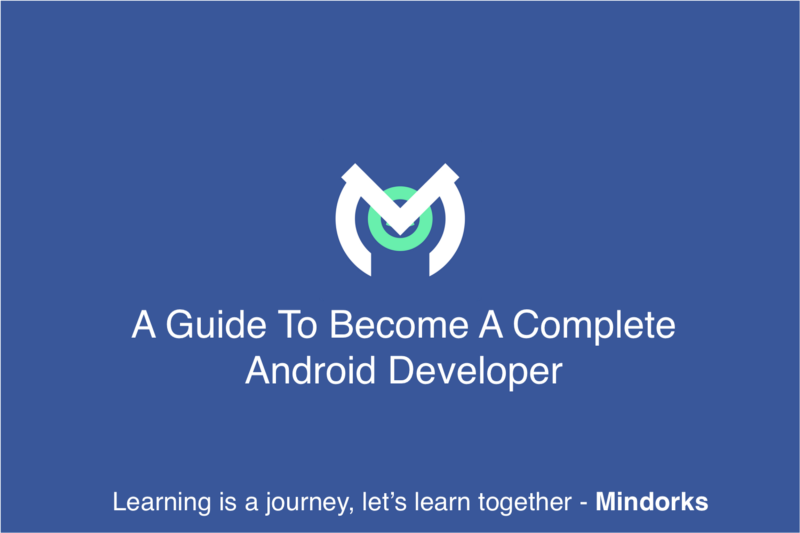 A complete guide to become a complete Android Developer. How to be an expert android developer? First of all, I am not a complete Android Developer. But trying to become. But I have met many great Android developers all around the world. I have learnt a lot from them and tried to collect things that we should know to become a complete Android Developer. Let’s see all those things required to become a complete Android Developer. This is very important so I told Build Build Build. Do not just read, build something on what you have read as only reading things will not help you. Have a small test project to try new things that you read. You have to build to become an expert Android developer. Always be updated with the new technology in Android. If you miss it, you simply miss it. The best way to be always updated is to join a community or follow some twitter accounts. You can join Mindorks Community as we always keep posting new things in the Slack group. Link to join the Mindorks Community on Slack. We also post updates on Twitter about all the new things in Android. So follow on twitter. Hear android developer backstage podcasts. You must know about the best practices that you should follow while the Android App Development. As we all are fortunate to live in the world where everyone builds tool to help each other. These tools make the development fast and our life easier.Do not forget to explore and use these tools. Find all the tools here. This is the best thing a developer can do and learn coding in the best way. I personally feel that I have learned a lot from the code of the open-source apps. Find the list of open-source apps here. Use the recommended Android architecture. Learn about the Android application architecture from here.and from the following. Quality matters a lot. It’s not only about MVP/MVVM/MVC/etc., but also about each piece of code in each part of your app. Let your code reviewed by the good developers. There are many tools available to test the code quality. Refer this link for the tutorial. Just login here and learn RxJava. Learn to use dependency injector. Learn how to use dependency injector from here.And from here. As it takes a huge amount of memory, can lead to OOM easily. Users love content! Especially when the content is well formatted and looks nice. Images, for instance, are extremely nice content, mainly due to their property of conveying a thousand words per image. They also consume a lot of memory. A lot of memory! — Learn From Here. This is very important to know that how the 3rd party libraries work that we are using in our Android application. Read: How The Android Image Loading Library Glide and Fresco Works? And also learn to create a pub/sub library. Read about the security tips here to build a secure Android application. In order to solve memory leaks in Android, first, you need to find where is the memory leaks, for finding use the LeakCanary. As a complete Android developer, you must have control on the material design aspect of the Android application. Refer here. Read here how to reduce APK size in Android. We must know about what are the metrics that we should measure while the Android app development. This way we can keep track of the performance issue and fix it. Read why we should write a blog. Check the most commonly used git tips and tricks here. I love open source. It has really helped me a lot to improve myself. So, start contributing to open source. 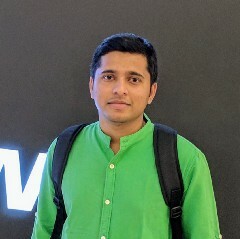 Check out my open source projects here. Continuous integration ensures that your code is building on a server that is not your own machine. Use CI like Jenkins, Circle CI, Travis etc. Play with the build tool. Check here. Check out: A Complete Guide To Learn Kotlin For Android Development. Bookmark this article to refer again and become an expert Android developer.